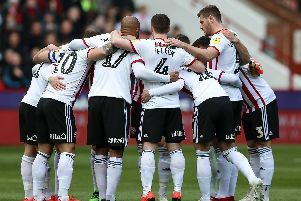 Sheffield United fans shouldn’t give up hope of a final few late signings just yet, as comments from Middlesbrough manager Tony Pulis suggest the Blades could land at least one of their transfer targets. Chris Wilder’s side are chasing two Boro players, striker Ashley Fletcher and winger Marvin Johnson, but the Teesside club are unwilling to sell without bringing in replacements first. But if Pulis’ comments are anything to go by, there could still be arrivals at Bramall Lane in the final days of the transfer window. The Boro chief told Teesside Live: “There are a few things in the pipeline that we are trying to achieve. “I just want players who want be here for Middlesbrough, as I've said before it's a smashing club and a club that people should be proud to be at and to work for. Millwall’s George Saville looks close to a move and Boro have also shown interest in Crystal Palace’s Jason Puncheon, which could free up current players in the squad for a loan deal.